Alright. I’m going to start reviewing products I’m crazy about. These articles will highlight items I use ALL the time and that are perfect for me and my lifestyle. I can’t help telling every mama and person out there about them!! If you are going to have more than one kid, it is totally worth it!!! Consider it an investment that your whole family will use and adapt as it changes and grows!! It has a ‘follow the sun’ canopy that shades your child no matter which direction the sun is pointing. The canopy can also be totally removed if needed. Car seat carriers fit right into it! Ah. 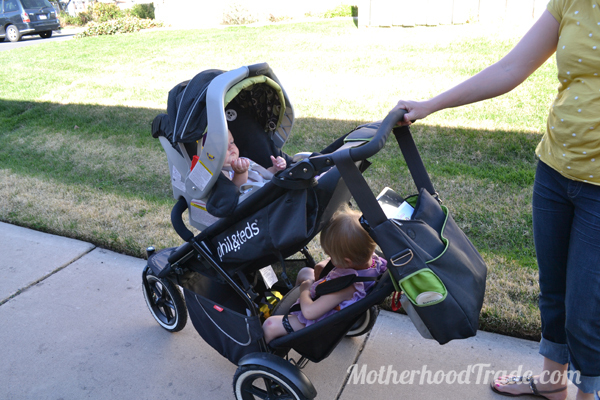 And it doesn’t have to be a specific brand like most strollers to fit (so nice!). It is a jogger stroller so you can go RUNNING with it. Even if you don’t, you get the smoothest ride possible with inflatable tires and swivel wheels (you can also fix wheel for running). The double attachment can be awkward for your little one because of lack of leg room. This happens if you have too much stuff in your basket. It can also be an issue if the child isn’t used to sitting with his or her front view blocked off. However, he or she will probably get used to looking to the side(like they do in a car anyway). And you will remember to minimize your load if you use the double kit attachment. I think that covers the best stroller ever! Let me know what you think if you end up getting one or if you already have one! !.